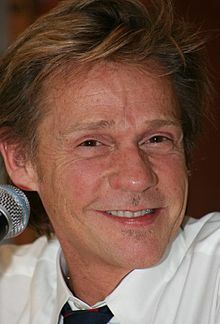 Dennis Christopher (born Dennis Carrelli; December 2, 1955 in Philadelphia, Pennsylvania) is an American movie actor. He is known for his roles in Breaking Away, It and in Fade to Black. He also appeared as Leonide Moguy in Django Unchained. This page was last changed on 30 August 2017, at 04:52.